Ali Abu Hassan found guilty of trying to bomb light rail in 2016 with three pipe bombs. 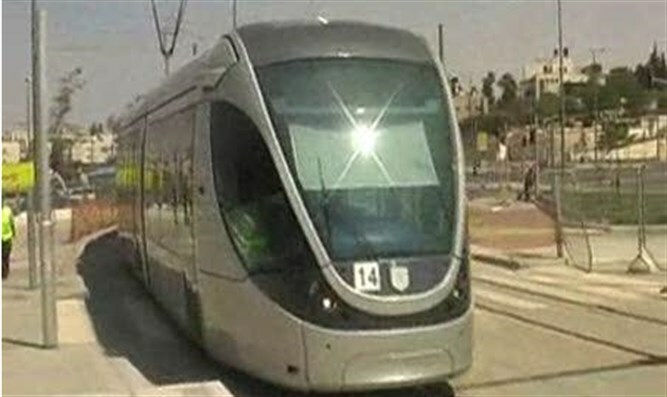 The Jerusalem District Court convicted an Arab terrorist on Thursady for attempting to bomb Jerusalem's light rail in 2016. Ali Abu Hasan, 21, a resident of Beit Ula and a student at Hebron University, was found guilty of attempted murder, weapons manufacturing, weapons possession, carrying a knife, and four counts of illegally entering Israel. In July 2016, Hasan boarded the Jerusalem light rail on Jaffa Street with a backpack filled with numerous pipe bombs. However, he aroused suspicions of the light rail security due to profusely sweating and acting strange and the guards found the bombs after a cursory search of his belongings. Hasan was removed from the train and sections of Jaffa and King George streets were shut down to both vehicular and pedestrian traffic.The bombs were defused by police, who said that it would have killed dozens of people had Hasan not been stopped. Hassan later told Shin Bet interrogators that he decided to pull off the attack out of anger at Jews who visited the Temple Mount. The interrogations also revealed that Abu Hasan had been planning the attack for some time. He researched the internet in order to learn how to make pipe bombs, bought all the materials, and exploded several trial bombs to be sure they would work. Before he entered Israel, Abu Hasan wrote a suicide note, which he left in university, asking his friends to tell his parents what happened. The terrorist acted on his own, without direction from any terror organization.